These grape cut hurricane shades add so much flavor. 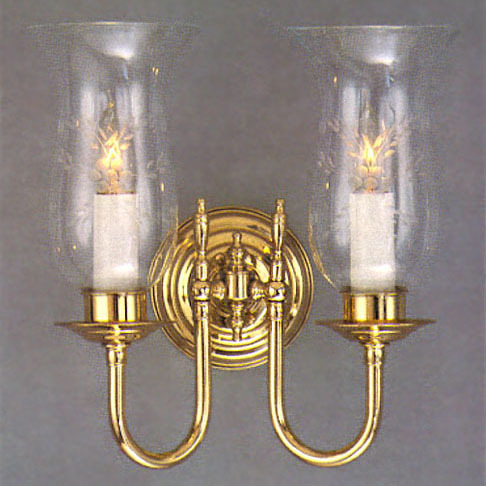 This two light 'U' arm version captures the heart and spirit of Country Colonial. Very detailed, very tailored! Width 12 In. / Projection 8 In. / Depth 13 In.